On September 21, 1972— almost two years, to the day, before I was born—President Ferdinand Marcos declared martial law, saying this was necessary to preserve democracy and avoid a communist takeover of the Philippines. 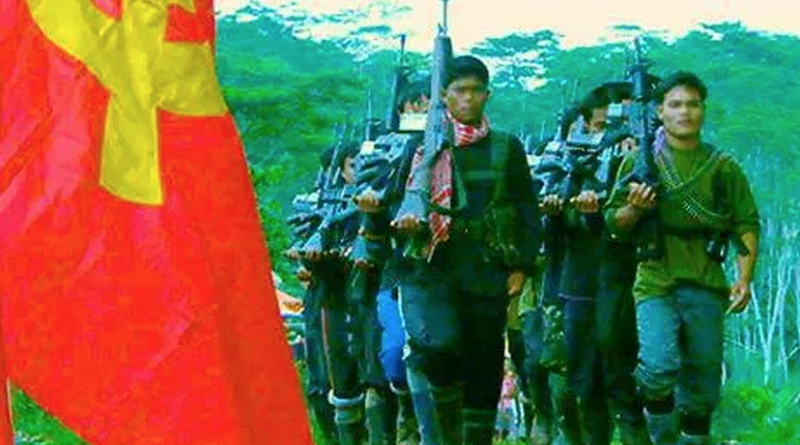 As a result, throughout my childhood the government was involved in an ongoing war between the Philippine Armed Forces and the Communist Party of the Philippines (CPP) with their military arm, the New People’s Army (NPA). As with the rest of my early childhood, I knew nothing other than the life in my own small town, so there was nothing to compare it to. It just “was”. I was aware from very early in my life that the military were in charge, and that there was tension whenever they came into our town. One of the first English words I learned was “salvage”—which refers to a situation that became common during martial law where the military would cause someone to simply disappear and never be found or heard from again—the very opposite of the meaning of salvage or saving. The NPA would do that too; they would assassinate government officials who they believed were corrupt. All of this meant that in barrios like Guinob-an, the day-to-day peacefulness became mixed with an element of fear and anxiety. I didn’t understand the politics of what was in dispute between the NPA and the Philippine Armed Forces; for me, the conflict was just a source of fear when tensions got high or violence erupted. Other than the coastline, Samar is all mountains and jungles, most of it without roads or towns, and NPA insurgents controlled the interior, moving freely in the rainforest and along the streams and past the waterfalls of the interior. The military sent patrols into the jungle, and were suspicious of anyone they came across in the hillsides. Meanwhile, most families had a plot of land somewhere up in the jungle and had to tend it, in spite of the fact that this could be dangerous because of the conflict between the military and the NPA. Our plot was a slippery, uphill, 45-minute walk from home on jungle trails, which ended at a clearing that had half a hectare of coconut trees with cleared land underneath where we planted other crops. It was our own property that the family inherited from my mom’s mother. It had a tiny nipa hut, just a basic bit of shade to rest in after lunch, with coconut trees everywhere and, in their shade, banana and papaya, and root crops of sweet potato, cassava, ube (a purple sweet potato), another root crop called gaway, plus vegetables: okra, string beans, squash, ampalaya, greens, and sugar cane. It seemed like at least two or three days a week would be spent there, managing the crops, which provided much of the food we ate. Sometimes that would be all we ate, if the weather was bad and there was no fishing and no money for rice. The sugar cane was my favorite. After the long, muddy walk up to the farm with my mom, as soon as we got there, I would grab a piece of sugar cane, then climb our guava tree and sit there for hours, swinging in the guava tree and munching on sugar cane and guava while my mom worked below. Later, as I got older, I would work beside my mom but in those very early years she let me climb the tree and have fun. At the farm I also learned to climb coconut trees, and as I grew older it became apparent that I was a bit of a tomboy who could keep up with the boys at any game. Although we were worried about the NPA and the military, neither of them ever bothered us on the trips to the family plot and we were able to tend our farm without interference. However, Guinob-an developed a reputation for being a haven for the NPA. I’m not sure if we really deserved this but my parents and older brothers believed Guinob-an was singled out because of a village member who became an informant, and who in their view made reports that were untrue to the military about villagers supporting the NPA. As a result, the military would frequently come into our town, suspicious that the villagers were cooperating with the insurgents and providing support to them, and roughly question townsfolk, then leave. They were particularly aggressive when I was very young. I remember when one of my brother’s friends was walking along the road wearing a camouflage jacket that his sister, who lived in America, had sent him. The military accosted him and confiscated his jacket for no reason; they just took it. That kind of thing happened more than once, and it was the military who behaved that way, not the NPA, who were more respectful of ordinary people but who, of course, were violently opposed to the political leadership, and willing to assassinate officials. Our feeling was that if the NPA was going to do something, it would be targeted on the elite, and simple people would be left alone. And it was the opposite with the military, who would leave the elite alone but be aggressive toward simple people. The military had a presence in the town, but not all the time, and frequently not at night, when they would be in Lawaan where they slept. During these times the NPA would sometimes come into the village, then post sentries at either end of the town while they held seminar meetings in the schoolhouse. I remember being intrigued to see that there were women among the NPA—soldiers like the men. On these evenings, when they did presentations, they would come in groups of five to ten NPA’s, armed with automatic weapons. I was too young to fully understand what was going on in the meetings, but I understood in general that the NPA were talking about how the military government was corrupt; and about ways that they could help the townspeople with the things we needed and which the government wasn’t providing like regular clean water, medicine, health care, etc. They made sure everyone knew that what they were fighting for was righteous, and that they were moral in the way they applied “punishment” or “justice”. They also collected contributions of food and money as a kind of “tax” that people paid willingly, in some cases to keep the peace, and in others because they supported the NPA’s in their struggle. When the NPAs came to town, I would slip into the back of the room to watch their meeting because during the meetings they would perform beautiful songs, often with dance performances as well. Not all villagers would attend but many would. My parents did not attend and tried to stay clear of the conflict.